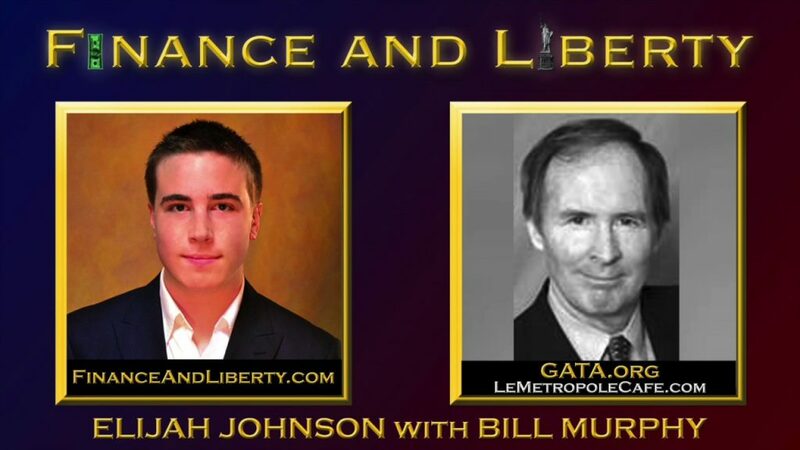 In this interview Bill Murphy from the Gold Anti-Trust Action Committee (GATA) feels that JPMorgan’s Silver Manipulation is ending. They may lose control of the silver market. Silver has broken through the $20 resistance level. If silver continues to break through silver could rise dramatically. JPMorgan, has been the big short in the silver market. It will either be forced to cover or will lose control. Murphy says for gold, the next resistance level to pay attention to is $1250. We have seen by Trump’s actions so far he is not really interested in actions that will “drain the swamp.” Instead he has stuffed his cabinet with Wall Street Billionaires and CEO’s who have profited handsomely from the current situation. According to Bill Murphy if Trump really wanted to “drain the swamp” Trump would order an audit of the US gold reserves. This would expose that not all the gold is there, Murphy believes. Bill is the chairman of GATA, The Gold Anti-Trust Action Committee. On his website is LeMetropoleCafe he has been telling the real gold and silver story for the past 15 years. As Chairman of (GATA) Bill has led the fight against gold market, and other precious metals market manipulation since 1999. Although this is a membership site you can get a two week free trial by using this link LeMetropoleCafe free two week trialand signing up there. Bill believes that buyers are coming in and JP Morgan might be overpowered. In discussing interest rates with Elijah Johnson of Finance and Liberty website Finance and Liberty Website Bill says that we can see in our daily purchases interest rates are much higher than the government reported rates. Gold and Silver are very undervalued today. Today’s investor can benefit from precious metals investing to prepare for the future. If markets are so manipulated as these guys say then fundamentals are out the door but these guys still use fundamentals to predict price in a manipulated market. Doesn't make sense to me. Utah is the smartest state in America, they use gold and silver.Gold and silver should be put back into Govt.coins.Not one ounce coins ,but a small amount in dimes, quarters,50 cent and dollar coins. Silver use to be $46.47 in March 2011. So it must go through not only $19, then $21 but $25, $30, $35, $40, $45 to break even with price in 2011. When silver hit $50 – $100 I will say "dramatically rise". One day it happens but SG is still under control. JP Morgan, Jamie Dimon, are in the Trump Administration, They can do what they like, if you think they will loose control of the silver market, dream on. We've been hearing the same BS from Bill Murphy for the last several years. My guess is, maximum we will see this year on silver is $26 & gold $1550. How do i buy euros? Elijah this is how I see: you gold bulls (cliff high, jsnip4, peter shiff… basically Republicans are have been gold buyers)… But guess who's buying gold this time around: Yes Democrats… because they think Trump will crash the economy. That's just my guess. So I see Gold breaking new highs regardless of what the fed does. It really pisses me off when you load a title to your video with a question! All of you guys do this and its horseshit if I have the answers then what the hell do I need you for? Get a nut sack sissy boy and act like you know something!